Cayman’s property market is booming with record sales figures seen in 2017. The company analyzed every property transfer registered with the Land Registry last year to compile its market analysis report. Some of the more significant sales include Dart’s $32 million purchase of the Royal Palms development site, the $21 million acquisition of the Pageant Beach Hotel site by a development consortium led by Howard Hospitality Group and the $10 million sale of the Coconut Walk Estate on Boggy Sand Road. Dart’s purchase of The Ritz-Carlton, estimated at around $220 million in the report, is not included in the statistics, because it involved the share transfer of a land holding company rather than a land transfer. Beyond those major sales, Simon Watson, partner at Charterland said the overall upward trend was being driven principally by the Seven Mile Beach condo market. He said the strength of the U.S. economy was likely fueling increased interest in holiday homes in Grand Cayman’s main tourism district. Mr. Watson said he believed the property development market would continue to be a key driver of the Cayman Islands economy in coming years. A planned $200 million Hilton resort at the site of the old Pageant Beach Hotel, the West Bay Road underpass, NCB’s boutique hotel project in George Town and the Periwinkle residential development at Grand Harbour were some of the high value projects approved for construction last year. Charterland has been producing market analysis reports annually since 2008. Mr. Watson said the aim was to cut through the marketing and sales talk and provide a data-based guide to the state of the property market. The report includes a sector by sector analysis of residential and commercial property transfers. He said the mid-range market was comparatively stable, with the number and value of sales increasing marginally. There were 1,702 property transfers, a 5 percent increase on the previous year. The total value of those transfers was $679 million, the highest on record, and a 9 percent increase on 2016. 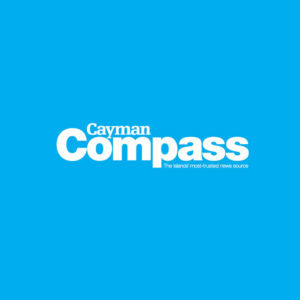 The average value of property sold in Cayman in 2017 was $399,000 – the highest on record.